The popular five-step format of The Living Gospel prayer books invites Catholics to pray, embrace the living Word of God, and take small steps toward spiritual growth each day. 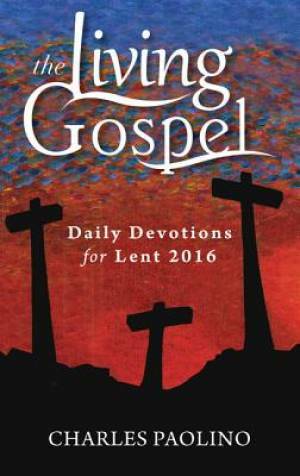 Daily Devotions for Lent 2016 is the seventh book in the series and fourth Lenten seasonal by popular Catholic preachers, speakers, and homilists. Charles Paolino brings the challenges and lessons of the Lenten Gospel readings to everyday life with his thoughtful commentaries, calls to growth, and simple, elegantly focused prayers. These accessible and affordable devotionals invite Catholics to pray deeply and be converted during Lent. Daily Devotions for Lent 2016 by Charles Paolino was published by Ave Maria Press in November 2015 and is our 27375th best seller. The ISBN for Daily Devotions for Lent 2016 is 9781594716447. Be the first to review Daily Devotions for Lent 2016! Got a question? No problem! Just click here to ask us about Daily Devotions for Lent 2016.